La Tzoumaz, in Switzerland, is a large resort with 12 lifts (1 cable car, 5 chair lifts, 6 surface lifts) that offers skiers an impressive 634 metres (2081 feet) of vertical descent. 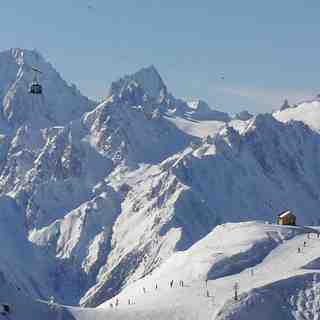 La Tzoumaz has 12 pistes with a total length of 28 kilometers (18 miles). 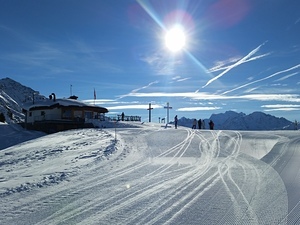 La Tzoumaz is best suited to intermediate skiers and snowboarders but there is some terrain for beginners and advanced skiers. There are cross country ski trails at La Tzoumaz. 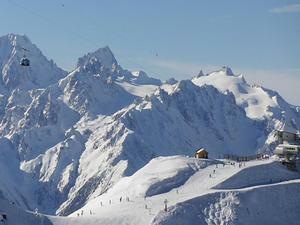 There is accommodation located close to the pistes at La Tzoumaz.